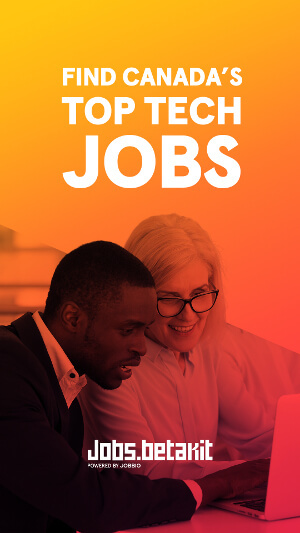 Mention “tech jobs” and thoughts typically turn to developers — the programmers and engineers who translate great ideas into working technology and keep the platforms we all use humming along. But the reality is that it’s impossible to scale and sustain most software platforms today without a highly capable, highly trained sales team. Indeed, at many of the most successful cloud software companies, the sales squads are just as big as the technical teams. I’ll repeat this for clarity: the current innovation boom hasn’t just created an outsized demand for IT pros; it’s created an equal — if not greater — demand for salespeople. For Canadian-based companies like my own, this translates into tremendous challenges and tremendous potential. For all of the strengths that Canada’s burgeoning tech scene has — from great universities to growing investment and thriving regional hubs — senior sales talent is not one of them. According to a 2016 survey by Wilfrid Laurier University’s Lazaridis Institute, seven out of ten high-growth tech companies here struggle to obtain executive-level sales and marketing talent. A 2018 Randstad report shows that sales rep is the second most in-demand job in Canada, with extreme demand for B2B reps. Nor is this just a Canadian problem. Worldwide, sales talent — from entry-level to senior-executive — ranks among the top three hardest skills to find, according to Manpower’s latest Talent Shortage Survey. The only way to fill the sales talent gap in Canadian tech is to build an ecosystem here at home. To me, this represents a classic bad news-good news situation. The bad news is that there’s a huge, unfilled demand for sales talent among Canadian tech companies. Hamstrung by a deficit of sales leadership — experienced people who have guided large teams at fast-growing startups — companies are forced to recruit from abroad, relocate or (worst-case scenario) sell to buyers in other places better equipped to scale their vision. But the good news is also that there’s a huge, unfilled demand for sales talent among Canadian tech companies. These are high-growth, well-paying jobs in a sector that’s only poised to expand — and you don’t need an engineering degree to apply. It’s no exaggeration to say that for a generation of ambitious Canadians — fed up with gig work and facing downsizing from AI and automation — these could literally represent some of the jobs of the future. But first, we need to find a way to connect the right candidates with the right roles. This starts with education and awareness. In one respect, it’s necessary to rewrite the popular perception of “sales” — which can conjure images of selling sweaters at The Gap or pitching vacation timeshares over the phone. Technology sales is a true vocation, requiring the tech savvy to understand products inside and out, the business sense to network with leaders inside large companies, and the people skills to make this all seem effortless. Doing the job well requires training and continuous learning. In this respect, it’s encouraging to see Canadian universities begin to offer accredited sales programs, focusing on the science and craft behind modern selling. Meanwhile, The Great Canadian Sales Competition has introduced more than 7,000 post-secondary students to sales as a career path. You may have an extraordinary product and brilliant, dedicated employees. But if you can’t convince people to actually hand over money for your widget, you won’t be in business for long. 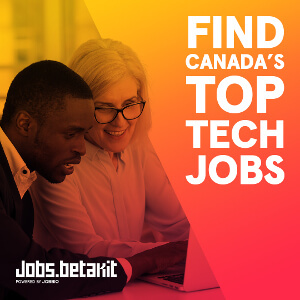 At the same time, it’s incumbent on Canada’s tech companies to get the right people in the door and keep them there, creating a pipeline of talent in our own backyard. Salespeople are compensation-driven, so offering competitive salary and commission packages is a critical first step — something we learned early on. But equally important is properly framing the mission behind your company. No one wants to spend their life peddling anonymous apps or ephemeral digital tools. Find the larger, noble purpose behind your company — how you’re changing the world or, at least, one small part of it — and you’ll find the right candidates. Then, it’s a matter of showing them a way forward. We’ve found that junior reps need to have clear career paths available and see real potential for advancement — whether that’s assuming management roles or being groomed for high-level field sales teams. On-the-job-training is equally important. The classic sink-or-swim approach — treating entry-level sales staff as dispensable — is a recipe for failure. (Nonetheless, a full 40 percent of sales teams in Canada received no formal training in the last year.) To this end, sales professionals also need real mentors: people who speak from a place of experience and, just as importantly, are willing to give back. My own company was lucky to find exactly these types of leaders in our early days — sales veterans like our first CRO, Steve Johnson, who patiently (tirelessly, in fact) showed the ropes to a team with little experience selling software in the global marketplace. 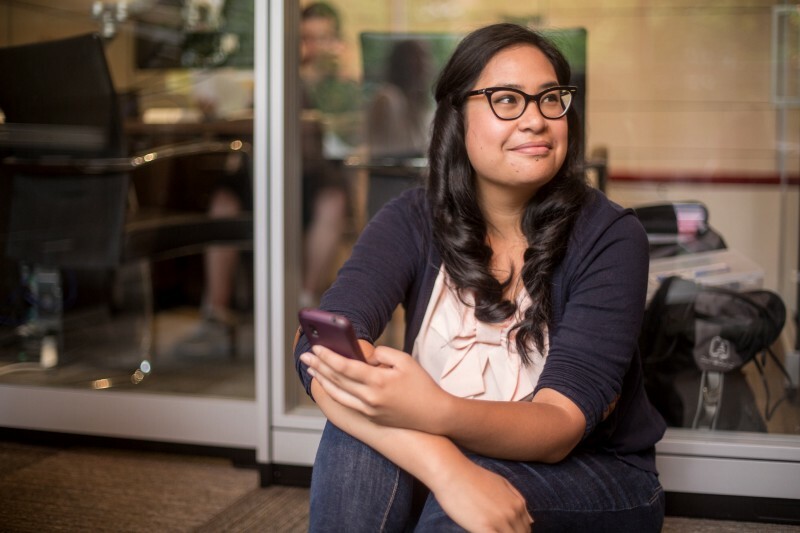 Because Canada’s tech scene is still young, many of these mentors and senior leaders will initially come from abroad, as was the case for Hootsuite. But we used this outside expertise to cultivate the next generation of homegrown sales pros. Our hires from those early days are now managing teams of their own and sealing multimillion-dollar contracts. Some have gone on to work for other Canadian startups or even start their own companies. And this is the real endgame. The only way to fill the sales talent gap in Canadian tech is to build an ecosystem here at home. Right now, my own company has dozens of open sales roles — and we’re hardly unique among Canadian startups. The best way — truly, the only way — to move forward is to do so together: developing the capability in our own backyard, creating good jobs for locals and growing a talent pool for the tech community at large. After all, it’s the sales team that helps to keep the lights on at any company. You may have an extraordinary product and brilliant, dedicated employees. But if you can’t convince people to actually hand over money for your widget, you won’t be in business for long. 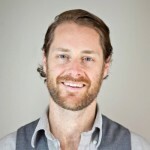 This article was syndicated with permission from Ryan Holmes’ Medium account.